At EcoMetrix Solutions Group (ESG), Linda Hwang ensures that ESG’s overall business strategy is translated into action and communicated throughout the organization and externally. She oversees the development and implementation of ESG’s advisory services, creating and delivering service offerings and programs to drive the organization’s long-term growth. Previously, Hwang led the development and production of BSR’s independent, business-critical research on future trends shaping the business environment. 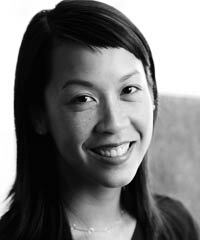 Hwang also helped lead the editorial strategy across BSR’s global content vehicles. She was BSR’s content expert on corporate water stewardship and ecosystem services, delivering solutions for integrating an ecosystem services analytical approach into corporate decision-making processes. Prior to joining BSR, Linda worked in investment banking in equity research and helped lead community development strategies in South Africa.